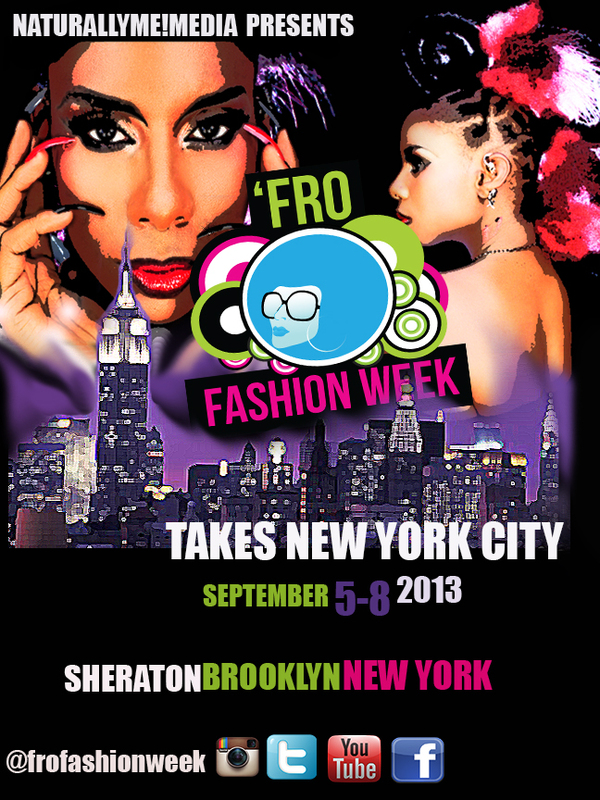 ← ‘Fro Fashion Week in NY and I’m an OFFICIAL FFW Blogger! Hi, Curlistas. I’m so sad to see my birthday month coming to a close but I had a friggin’ BLAST! And, this weekend is gonna be bomb, too. I hope you all are enjoying the last little bit of summer, too. Next month is gonna be jam-packed with fun events. Here are some that I will either be involved in or that I wish I could go to. ‘Fro Fashion Week | 9/5-9/8 |Official Blogger – Tarin Boone is finally bringing the Atlanta-based celebration of natural hair and fashion to NY. Join us for lots of fun and hair! I’m one of the official bloggers (check out my post HERE for more information). To save 10% on the NYC Package (Saturday Pass) use code CURLSANDMO. For more information and to purchase tickets, visit frofashionweek.com/fro-fashion-week-tickets. 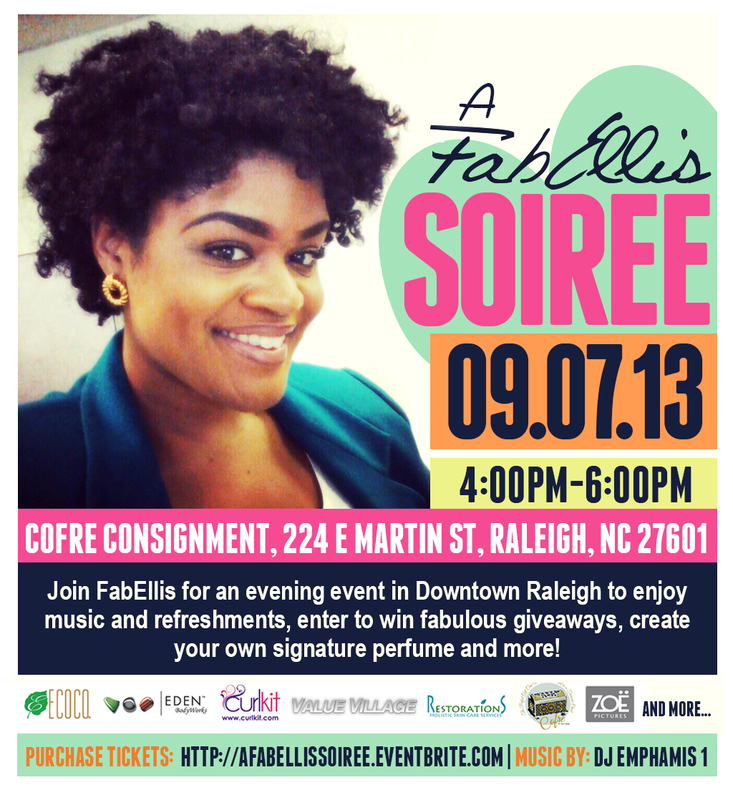 A FabEllis Soiree | 9/7 | 4p-6p | NC – Obviously I won’t be in NC – I’ll be at FFW – but I wish I could be for this. For more information and to purchase tickets, visit afabellissoiree-es2.eventbrite.com. 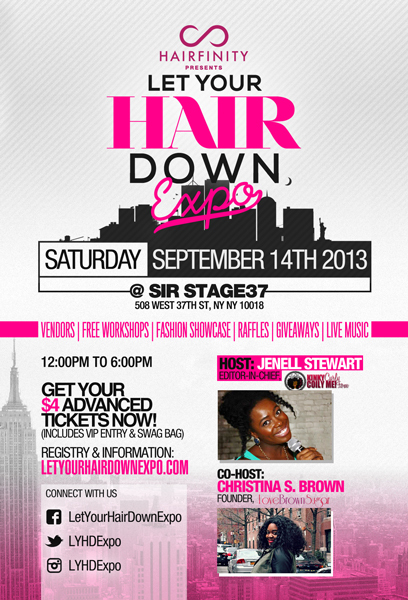 Let Your Hair Down Expo | 9/14 12p-6p | Bloggers Fashion Runway – LYHD Expo is back! And, I’m walking in the fashion show. Hollllaaaaaa! Lol. I’m really excited to check out all of the vendors, hang out with fellow curlistas and walk. (Don’t laugh at me!) For more information and to purchase tickets, visit lyhdexpotickets.eventbrite.com. 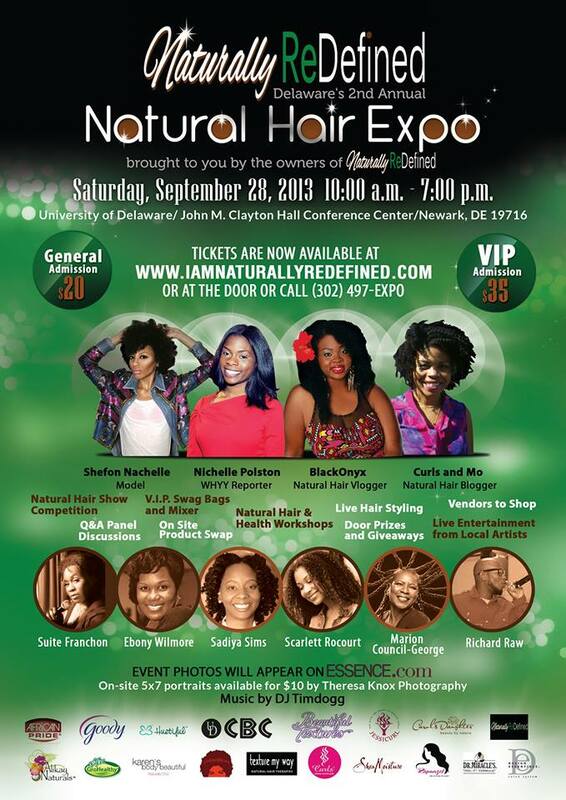 Naturally ReDefined: Delaware’s 2nd Annual Natural Hair Expo | 9/28 10a-7p | DE | Blogger Panel and VIP Networking Event – Come join me at Delaware’s 2nd annual natural hair expo. I’m really excited to be a part of this event because last year’s looked uh-mazing. For more information and to purchase tickets, visit naturallyredefinedexpo.eventbrite.com. 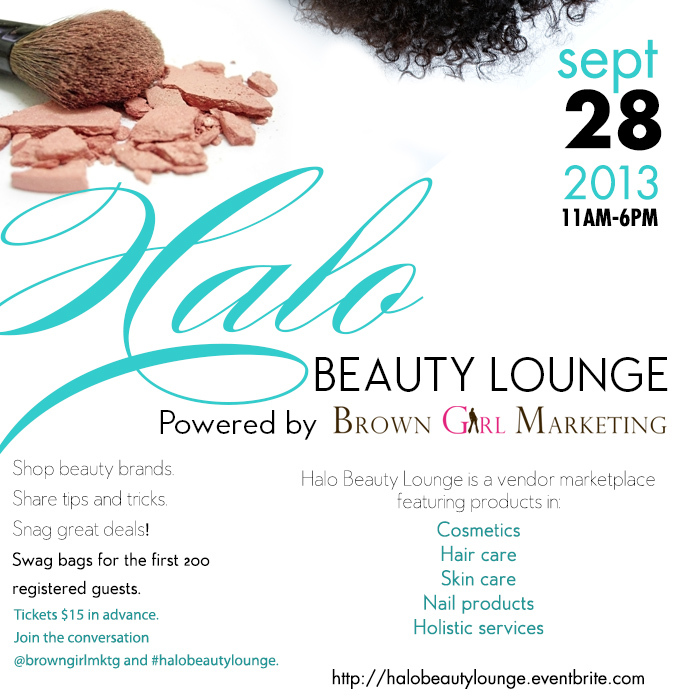 Halo Beauty Lounge | 9/28 | 11a-6p – Join Brown Girl Marketing for a day of beauty including hair care, skin care, nail “candy” and more. There will be vendors and discount codes to use even after the event. Swag for the first TWO HUNDRED paid ticket holders. For more information and to purchase tickets, visit halobeautylounge.eventbrite.com. I hope to see you ladies at some of these. Have a magnificent weekend! This entry was posted in Curlista, Socialista and tagged Beauty, beauty blogger, blogger, bloggers, coils, cosmetics, curls, curls and mo, curlsandmo, curly hair, events, Friday's 5 Loves, hair, healthy hair, makeup, manicure, nail art, natural hair, new york, NYC, products, skincare, team natural, vlogger. Bookmark the permalink. I’ve been so out of the loop with events lately. I so wanted to go to Fro’ Fashion Weekend & then I saw the ticket prices. It’s something I’m going to have to sit on and think about. Going to try to make all the other events.